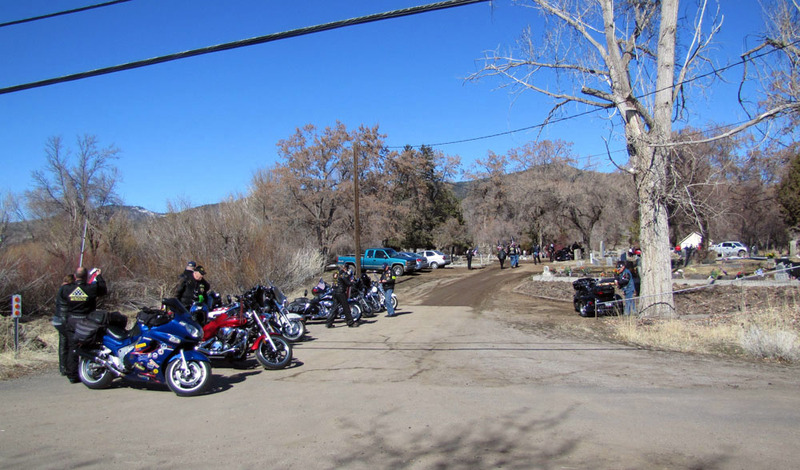 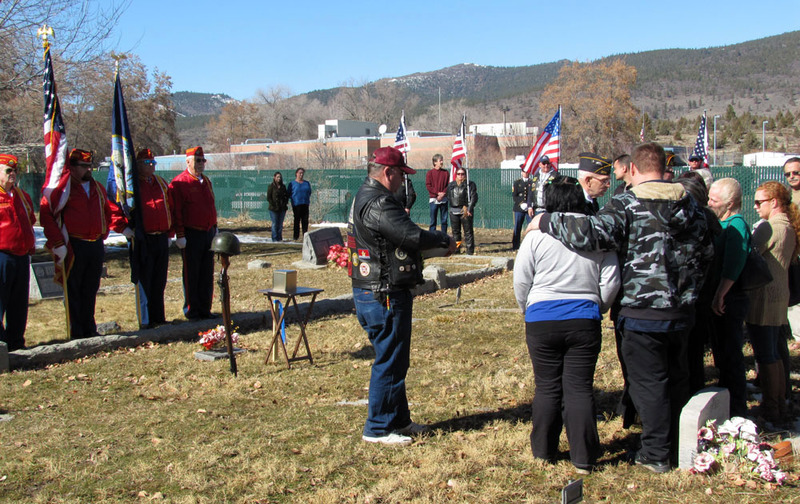 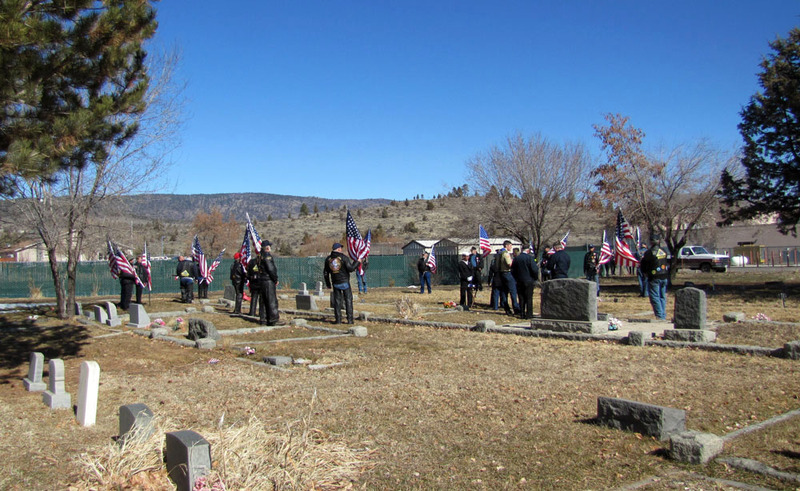 The Patriot Guard Riders having been invited by the family of fallen U.S. Navy Retired CPO Jack Iba, Vietnam Veteran, to stand and honor during his interment service at the Lassen – Susanville Cemetery, Susanville, CA.. 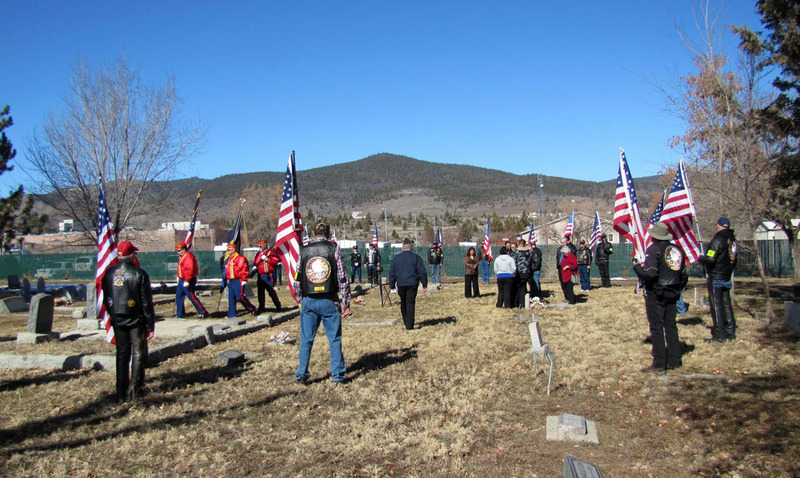 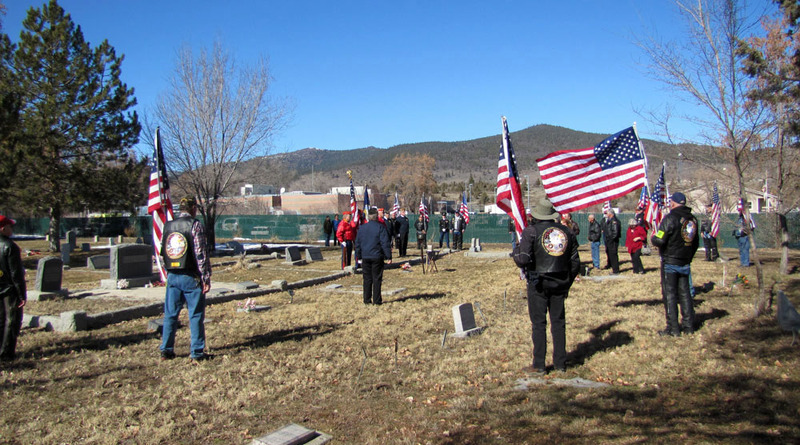 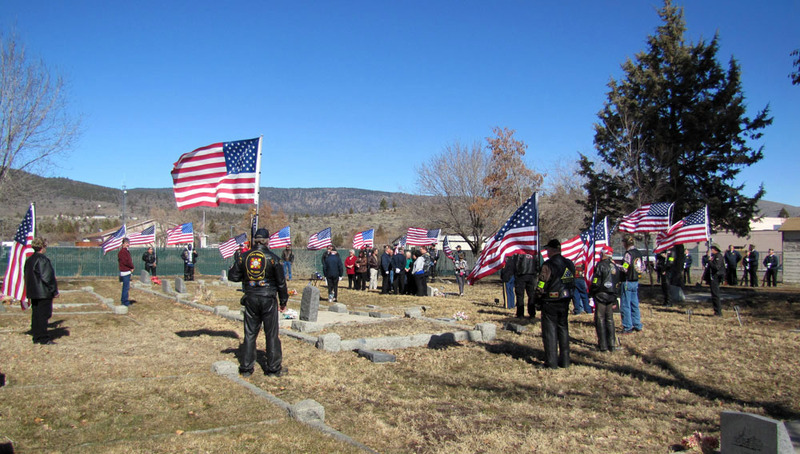 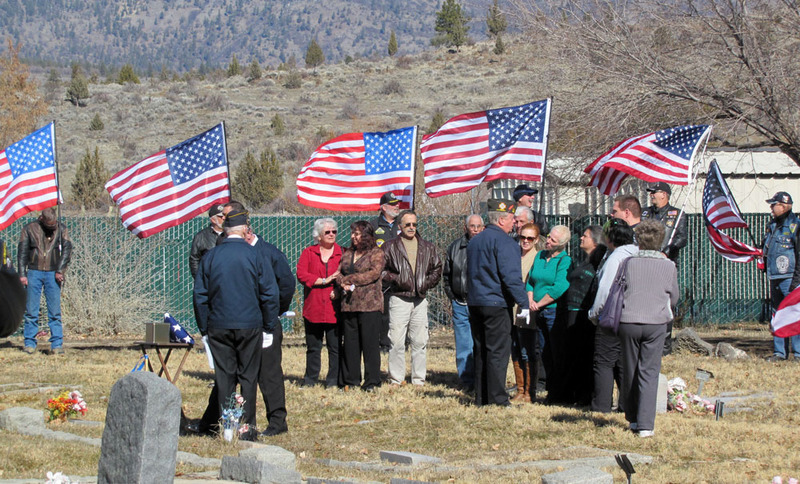 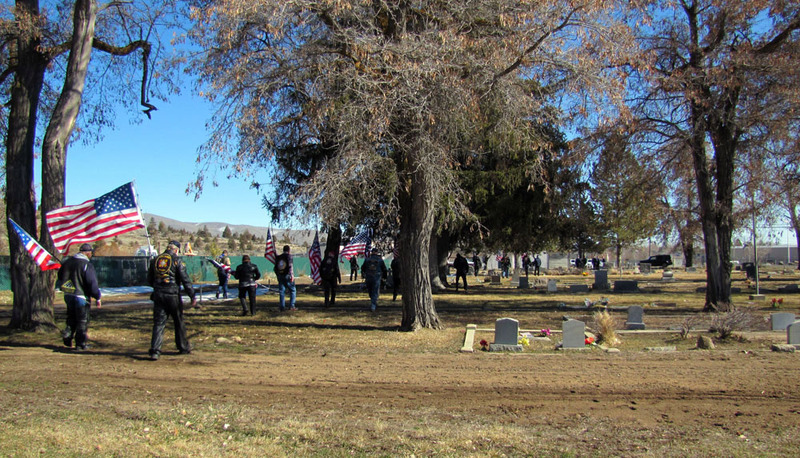 The mission involved a flag line at the Lassen – Susanville Cemetery, Susanville, CA for family and friends to pass through. 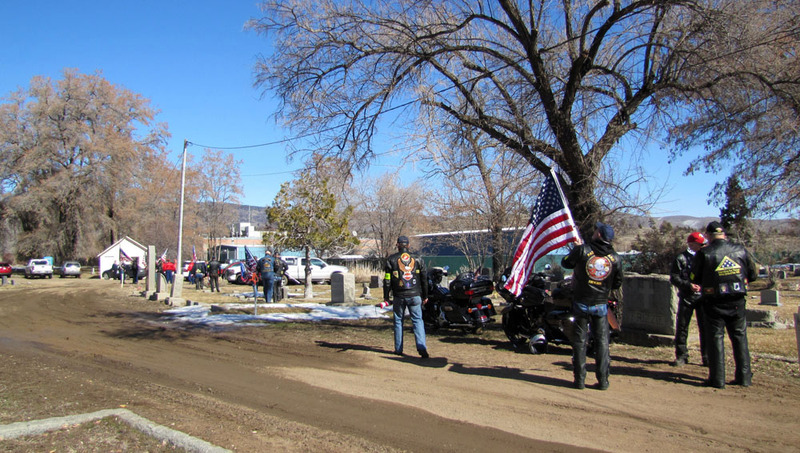 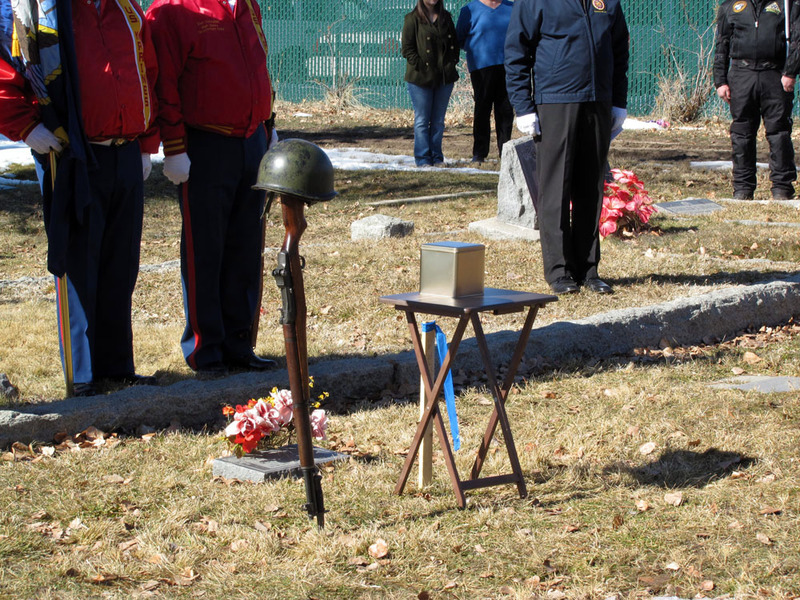 On a beautiful winter’s day, 24 PGR members showed to present Honors for this true American Hero, where the PGR stood Honor Line at his final resting. 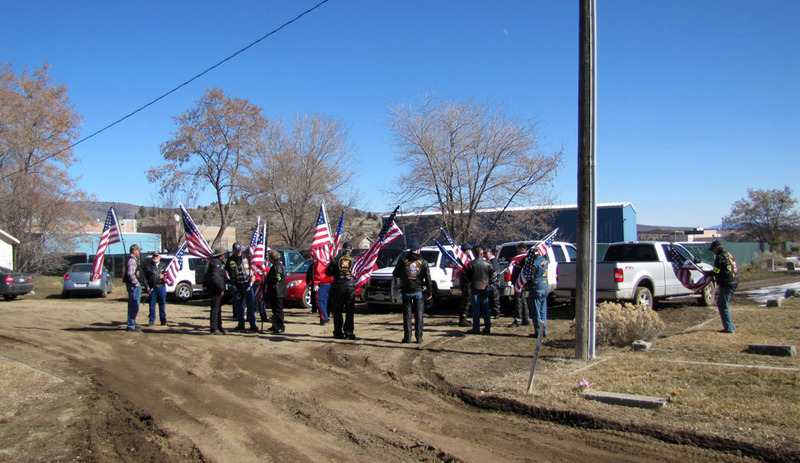 I would like to give a special thanks to Reno Nevada PGR member Dean Schuff and his contingent who braved the sub freezing temperatures to travel to assist the Susanville PGR stand Honor Line with American Fags during this Mission. 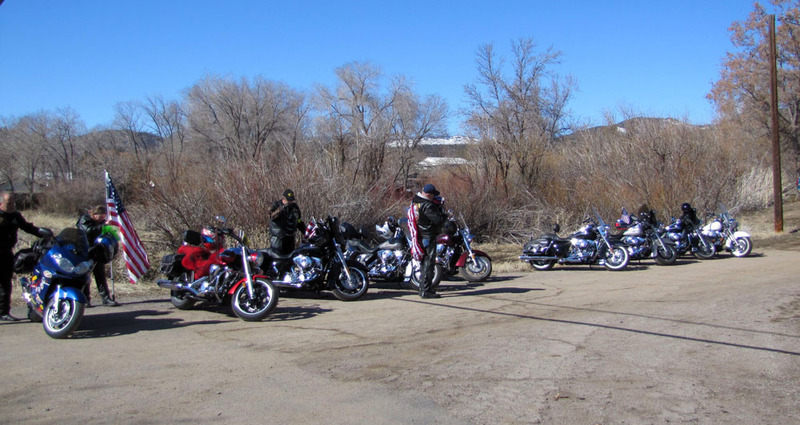 In addition to our Patriot Guard Riders we had a great representation of many groups on this Mission. 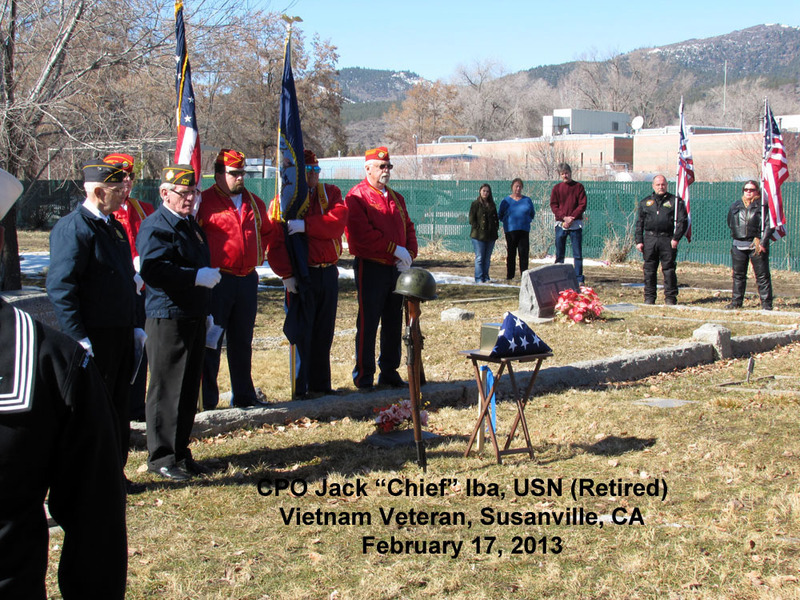 Lastly, but not the least, I am thankful to U.S. Navy Retired CPO Jack Iba, Vietnam Veteran, an American Hero, and his family. 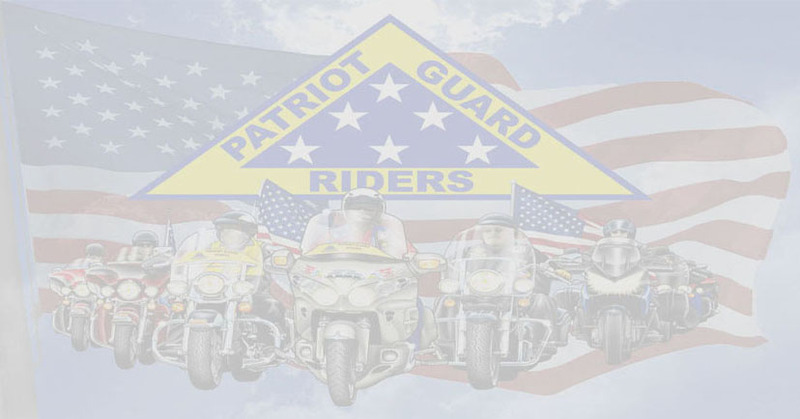 Your watch has been stood, your duty to protect this nation is complete, and you’ve earned the right to be called a true American Hero. 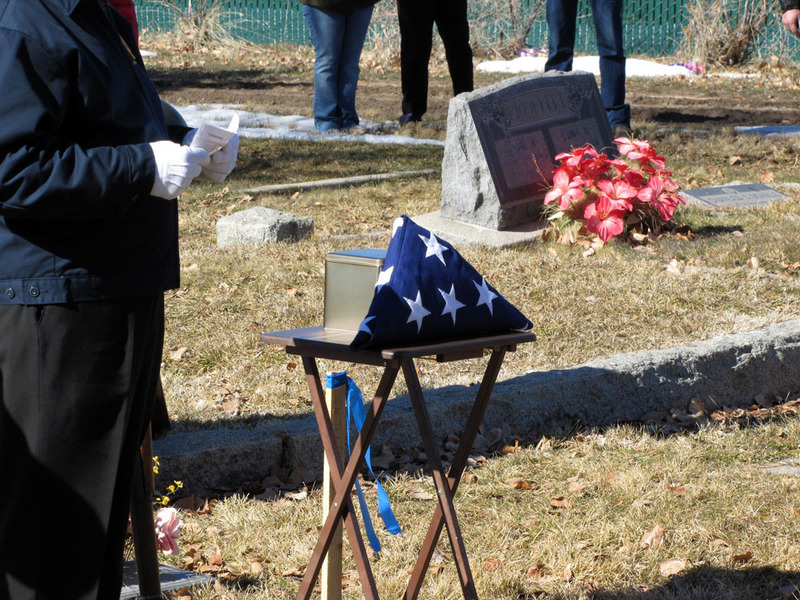 Your service and sacrifice will not be forgotten.